shutterstock/Vytautas KielaitisAIR INDIA Boeing 787-8 lands at Frankfurt airport. An Air India flight attendant was hospitalized after falling from a parked plane in Mumbai, according to multiple reports. According to the Economic Times, Air India Flight 864, a New Delhi bound flight, was preparing to depart from Chhatrapati Shivaji International Airport, when a a 53-year-old flight attendant experienced a serious accident. 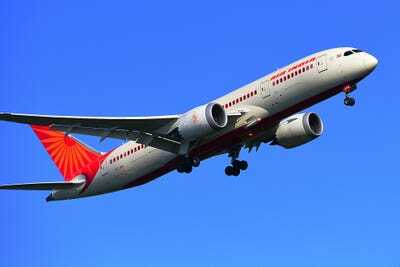 Air India did not immediately respond to Business Insider’s request for comment. Business Today reports that the female flight attendant was trying to close the door during the push back from the gate when she fell. New Delhi Television Limited (NDTV) reports “Ms. Lobo fell several meters to the hard tarmac” and that the flight was delayed for over an hour from its planned 7:00 a.m. takeoff time. This is the latest incident involving Air India in the last few months. Last week, an Air India plane travelling from the south Indian city of Trichy to Dubai hit an airport wall upon takeoff and had to be diverted to land in Mumbai, after it had flown for almost three hours with a damaged body. And in July, two Air India planes had to be grounded after passengers complained of being covered with bedbug bites during their flights.